Recall those unique 15 years of conscription by way of the popular songs that were written about – and formed the soundtrack to – the National Service years. 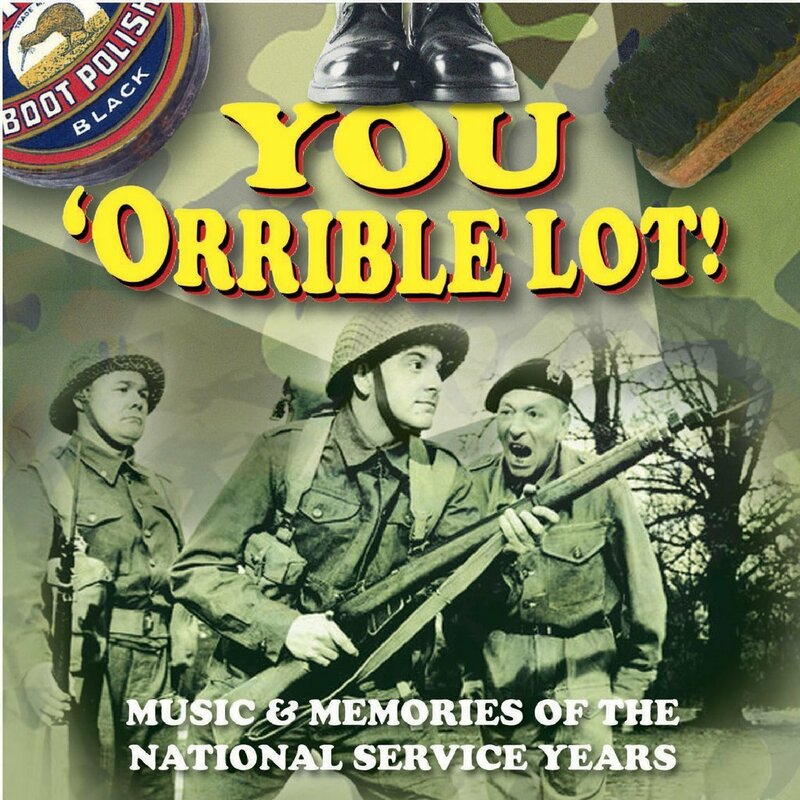 Full of good humour, irony, fun and nostalgia, ‘You ‘Orrible Lot’ perfectly conveys the unforgettable experience with fondness ... albeit occasionally bitter-sweet. National Service, as peacetime conscription, was formalised by the National Service Act 1948. From January 1st 1949, healthy males aged 17 to 21 were expected to serve in the armed forces for 18 months, and remain on the reserve list for four years. Sharing the danger of the Regulars, they fought the country's enemies and defended its interests across the globe. Drill, strict regimes, discipline and obedience were - literally - the order of every day, yet many of those that were conscripted were grateful for gaining a maturity that may have otherwise eluded them, learning the value of friendship and comradeship and ultimately became more resilient and better organised. 9. Vaughn Monroe - Sound Off!